For the last two weeks I have been expecting to take my car in to have the PCM updated and to have a diagnostic done me neglecting to remember my appointment and missed it I ended up calling them back after remembering about it and spoke to a employee by the name of Jeremy every single time I have called in I have had the absolute pleasure of speaking to Jeremy he is very respectful and every time we're on the phone we both end up laughing at the end super super polite and extremely helpful I really appreciate all the time and effort that this employee here put into his work and devotion of his customers he is a super awesome dude and I will continue bringing my car to him so thank you Jeremy you rock brother!! Benjamin was a very friendly, cordial and informative salesperson. 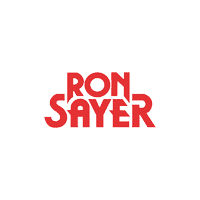 The staff at Ron Sayer was very efficient and courteous. I would definitely go back. I've already dealt with the Service Dept and I'm a repeat customer. Travis was the best! Very easy to work with and very efficient with my time. He worked hard to make the numbers fit my needs. Thanks! Clean , timely, professional. All service, recall, and inspection explained. Questions regarding future maintenance discussed. Client area clean. Table and chairs available. One customer Desired a computer/cell dock. I received a recall notification in the mail. I scheduled an appointment to have the part fixed. The appointment took about an hour. Things went smoothly and without any issues or hassles.